The main building of the Hellbrunn Castle or the Hellbrunn Palace was built between 1613 and 1615 and is actually more like a mansion than a palace, but it is still one of the most important sights of Salzburg. It has a rectangular shape with two pavillions in the front corners. The three storeys are delimited on the façade by the so-called “Kordongesimse” decorations. The castle is connected to the city of Salzburg by a very long driveway. The double staircase at the entrance leads to the main gate of the Hellbrunn Castle. Under the stairs is a grotto fountain by Santino Solari. On the first floor of the palace you will find the “Prince Rooms” or Fürstenzimmer in German. This part was decorated by Arsenio Mascagni in 1615. The Italian painted the walls and the ceiling with various scenes and 12 gold Caesars. Mascagani painted in a simmilar way the octagonal room called “Musikzimmer” or “Octagon”, a salon dedicated to music, which is located near the Fürstenzimmer. In front of the Hellbrunn Palace, you will find the “Ehrenhof” or the court of honor, a yard that increasingly widens as you approach the palace. 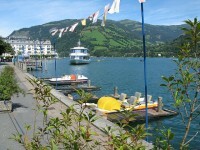 During Christmas there is organized a very popular Christmas market. The “Ziergarten” or the Pleasure Garden behind the castle was opened in the 17th century. The center of the garden is marked by a pond where is also a small rectangular island. The floral arrangements were originally baroque but later were repeatedly changed. Two obelisks in the west part of the gardens is all that remained from the original design in 1730. 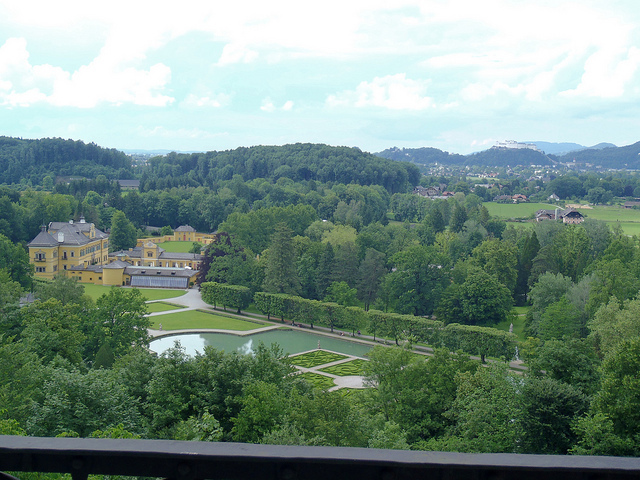 The fame of the Hellbrunn Palace is due to these gardens and fountains. In the park you will find wells, fountains, ponds, five artificial grottoes, sculptures and statues. 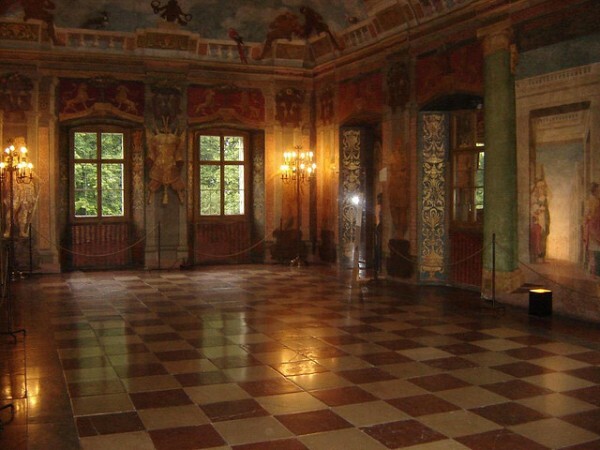 The whole area around the Hellbrunn Castle is a kind of Baroque Disneyland, created with only one purpose: to gladden the rich Prince Archbishop of Salzburg and his guests. 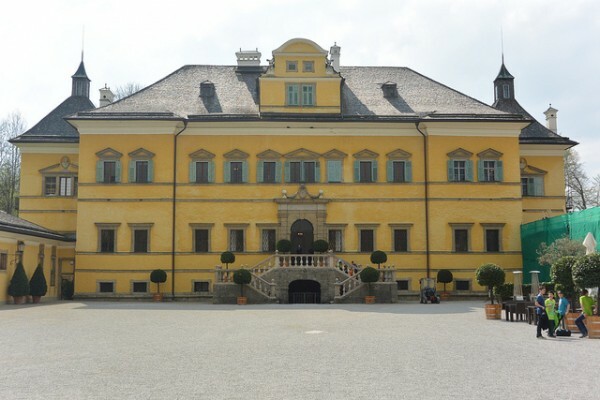 The Hellbrunn Castle is located at the address: Fürstenweg, 37 Hellbrun, Salzburg, Austria. 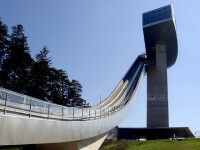 You can reach it by bus, you have to take the line 25 from the train station. The travel time is approximately 20 minutes. The castle is opened daily, in April, October and November between 9:00-16:30, in May, June and September between 9:00-17:30, in July and August: between 9:00-21:00.